James & Brad at Time Inc. 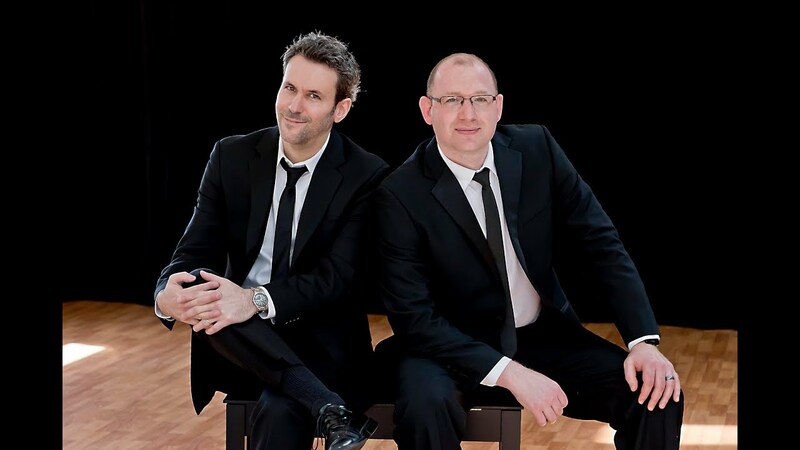 The Flying Ivories, New York's premiere Dueling Pianos company, will fire up your event with an all-request, pop and rock sing-along. You and your guests will dance, hoot, holler and even join us on stage for a show that's part music, part comedy and all fun. We're also available for Solo shows! Absolutely fantastic show. The Flying Ivories drove to upstate NY to perform at Ft. Drum, NY for our military ball and were a rockin' good time. Funny, lively, and quick on the fly, they had the crowd singing along, stomping their feet, and clapping their hands all night. They accommodated several very specific requests and were worth every penny. I would recommend them for any event that you need live entertainment. Bravo! Thank you, Adam! We had an absolute blast. Dueling pianos at a wedding? It doesn’t sound right to most people at first, but booking the Flying Ivories was one of the best decisions! I️ saw the Flying Ivories at my best friend’s wedding and it was the best wedding I️ had been to yet! I️ too doubted dueling pianos originally. They were absolutely amazing and kept the party going the entire time. I️ knew as soon as I️ got engaged they had to play at our wedding! James was easy to work with and quick on communication. We had a specific rendition we wanted for our first dance and started to get concerned we wouldn’t be able to pull off our dance, but Brad was perfect! Why did we worry in the first place?! Everyone loved them and we received so many compliments and others saying how at their wedding they’ll have to have dueling pianos. Of course, all the doubters said they were completely wrong. Not only are they entertaining these guys were rockstars and didn’t take a break to keep the party going! I️ would love to get married again just to have another reception with them. If you want “the best wedding” your guests have been too or “the most fun” book the Flying Ivories and they’ll make it happen! We can't thank you enough for having us to share your special day. You certainly had a party crowd and we had the most fun with your guests! The Flying Ivories (James, Matt, and Keith) definitely don't disappoint!!! They recently played our wedding and were a smash from beginning to end. They were super accommodating to our musical preferences as well as very responsive to our emails and phone calls. They kept the crowds energy flowing for hours on end. Definitely a great alternative to the over done DJ and lights routine. We received tons of compliments from family and friends. Couldn't recommend these guys enough! The Flying Ivories, Brad and Jay, played our charity Beefsteak and I could not say enough great things about them. They were easy to work with, rolled with the night, played off the audience and had everyone laughing and singing along! I highly recommend them for your next party, fundrasier, birthday party, wherever you can get them, USE THEM, they are great!!! Thanks so much for having us; Please reach out if we can be of service in the future particularly for such a wonderful cause! An amazing birthday night to remember ! Brad and James were outstanding performers at our home last night! We had 70 guests and my phone has been ringing off the hook raving about the Flying Ivories and how did I find them! I can't wait to book them again!! Thank you for making my 65th birthday an absolute blast!! AWESOME JOB AT OUR WEDDING! We had the Flying Ivories at our wedding and they did an excellent job! This was a Saturday night, formal wedding at the Wilshire Grand. They provided us with classical music as guests entered, live music at the ceremony and cocktail hour and everyone had a great time at the reception! They were definitely versatile and worked with us to fit our specific needs. Family that had never seen dueling pianos were nervous that people wouldn't dance and have fun. They were quickly proved wrong! Brad and James (and they had an awesome drummer with them) did a phenomenal job MC'ing the event and taking care of everything we needed announced, ect. As well as keeping the crowd up and dancing and engaged. We have been getting calls all week about our great choice of entertainment! Dave Gustafson was not only professional but very talented and fun. Our friends really enjoyed him and we would hire him again without hesitation. He was wonderful! Hi Tracy - we're thrilled that you enjoyed Dave. We love him, too! Give us a holler anytime and he'll be there. Thanks for the shout out and Happy Holidays! AMAZING! MADE OUR HOLIDAY PARTY EPIC! The Flying Ivories were so great. They were very accommodating when our event got off schedule. They brought an extra microphone for us to use for our speeches at no extra charge. And the dueling pianos, drum playing and singing was amazing! Our team had such a great time and danced our tails off. Thank you for making our event so fabulous! We hope to see you next year. We had a ball; Cant wait for the next one! Super fun, high energy, great time! We were very happy with Flying Ivories. They were fun, entertaining, energetic and helpful. They did exactly what we asked of them. The Flying Ivories played in our home for my 40th birthday celebration. They were amazing! A number of our friends had never seen dueling pianos--they left saying it was "the best party ever!". Brad was very responsive in our planning--giving us guidance as to the flow/plan that would make for a successful evening. They kept the party going late into the night with the perfect blend of musical genres based on requests from us and our guests. We cannot rate them highly enough--it was a night to remember! Flying Ivories performed at our annual Christmas party in our home. Brad was adaptable during the planning and did a great job playing and keeping the party going. Easy to work with, fun, extensive song list and very professional. Insurance: $1,000,000 - Liability insurance policy up to $1M. COI and Additional Insured Certificate available on request. No two shows are ever the same because the crowd decides the set list. Write down your song on a request slip, put it on the piano, and we'll play it. If you're celebrating a birthday, a bachelorette party, a retirement, an office party, an anniversary or even a wedding, you'll be invited to the stage for some friendly fun. We can tailor the show to your particular needs, whether you're hosting an intimate evening at home or planning a large-scale corporate event. And we always hand pick our players to ensure a perfect musical match for the occasion. 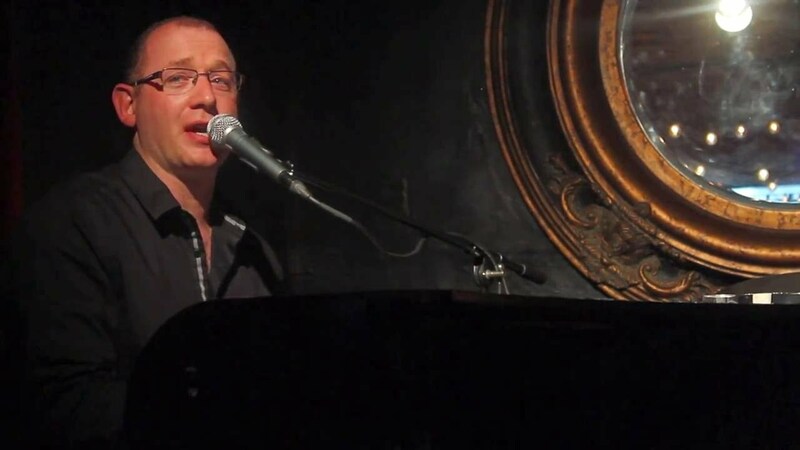 In the fall of 2001, Brad Alexander launched the first ever Dueling Piano show in NYC. Every Friday and Saturday night, in the basement of O'Flaherty's Ale House on Manhattan's Restaurant Row, Brad and a small group of piano players faced off on two electric pianos for a four-hour singalong with an audience that grew from 10 to far beyond legal capacity. 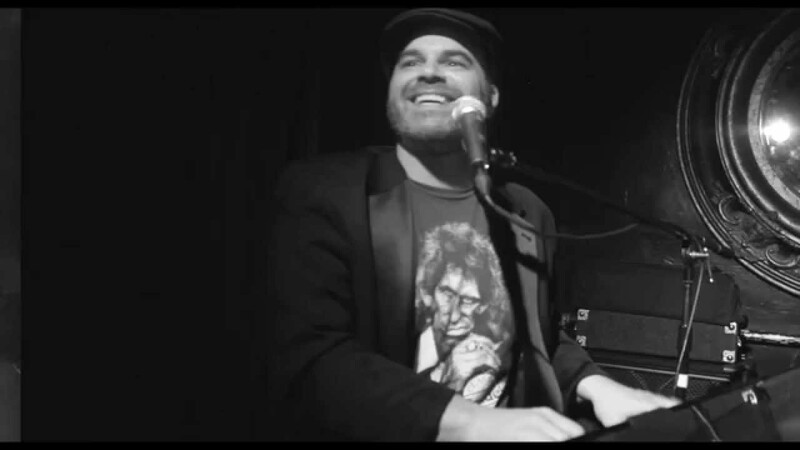 From there the show moved through several incarnations and locales over the course of a decade and eventually landed at Bar Nine in midtown Manhattan, where Brad and fellow performer James Barr formed THE FLYING IVORIES. Here's how it works: First, we bring our show right to your door, complete with lighting, sound and two custom-built black pianos. Then two players belt out an all-request, rock-and-roll singalong while you and your guests dance, hoot, holler and even join us on stage for a show that's part music, part comedy and all fun. From Billy Joel to Aretha Franklin, from Sinatra to Metallica, from Garth Brooks to Madonna, we've got it covered. And if you enjoy seeing two grown men perform Carly Rae Jepson's "Call Me Maybe" - then this is the show for you. Need some light background music during cocktails or dinner before revving up the party? Done. Need a more intimate evening in your living room with only one piano player? We can do that. Need to bring the birthday girl up on stage for some musical razzing? No problem. We'll customize the show for your event. Want more proof? Come see us! 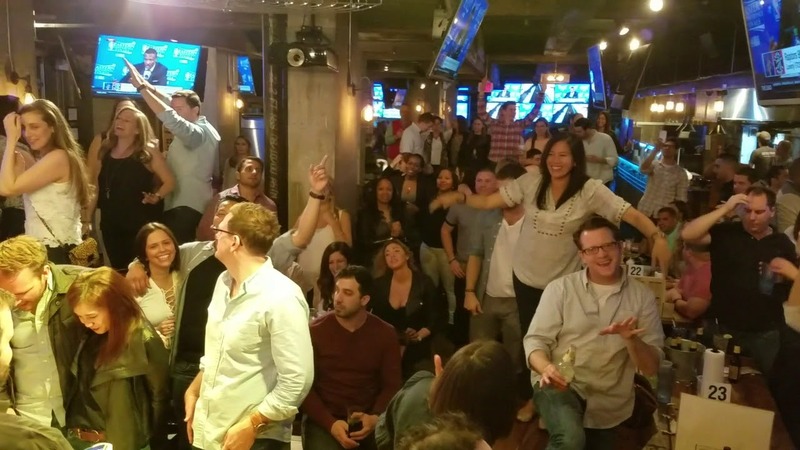 Every Wednesday, Thursday, Friday and Saturday night we're at BAR NINE in midtown Manhattan. We provide the entire set up: pianos, sound and lights. All we need is a small area to power up and start playing.